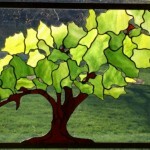 Absolutely stunning, elegant “Tree of Life” panel fabricated by Jack Driscoll. 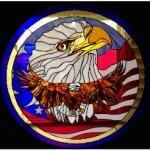 Thanks for sharing this with us and fellow glass fan-atics, Jack! Keep those pictures coming, all.